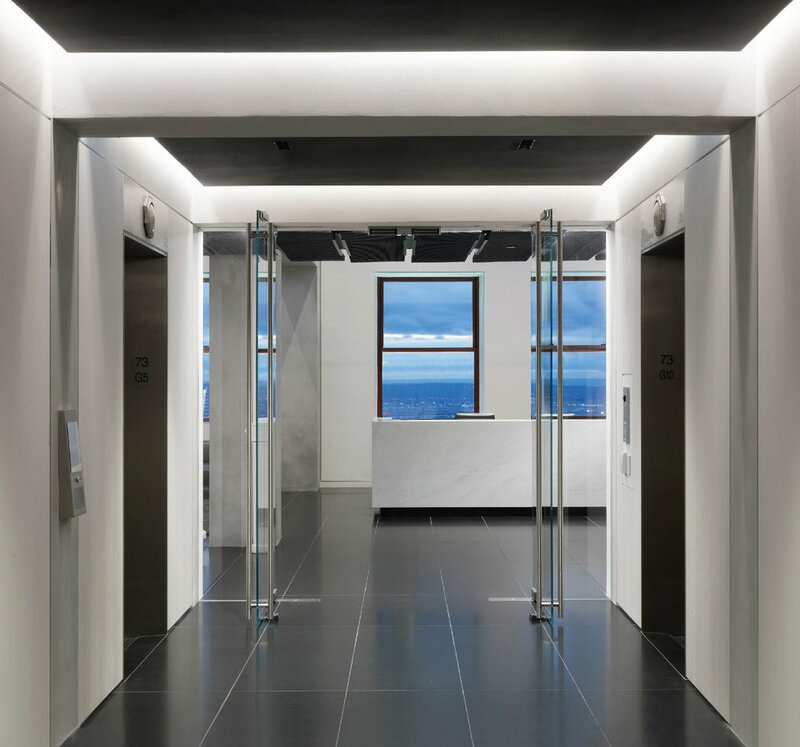 Occupying two floors near the top of the Empire State Building, JCDecaux's new North American headquarters was conceived as a showcase for the importance of design for the world's leading outdoor advertising company. 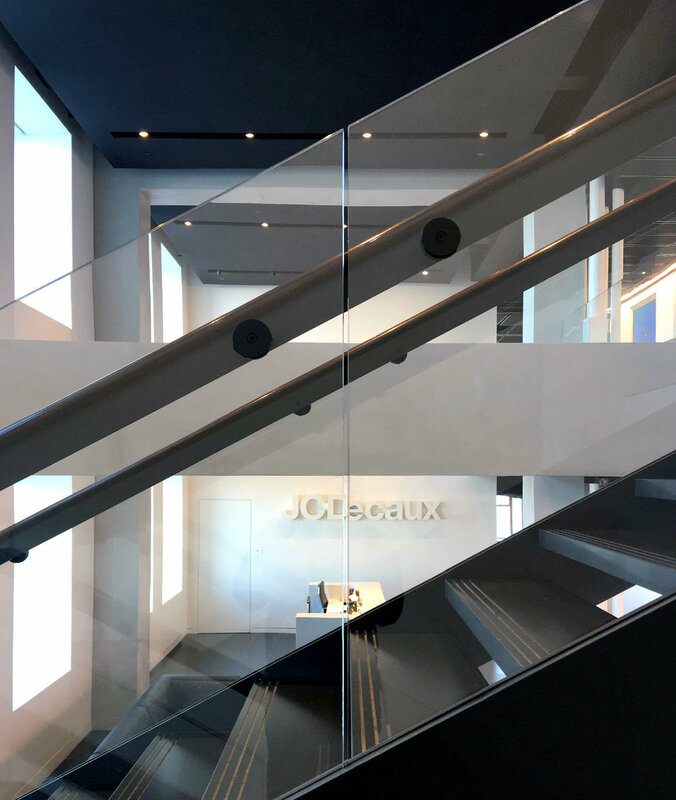 JCDecaux’s new offices are a culmination of the 80 year story of the Empire State Building. 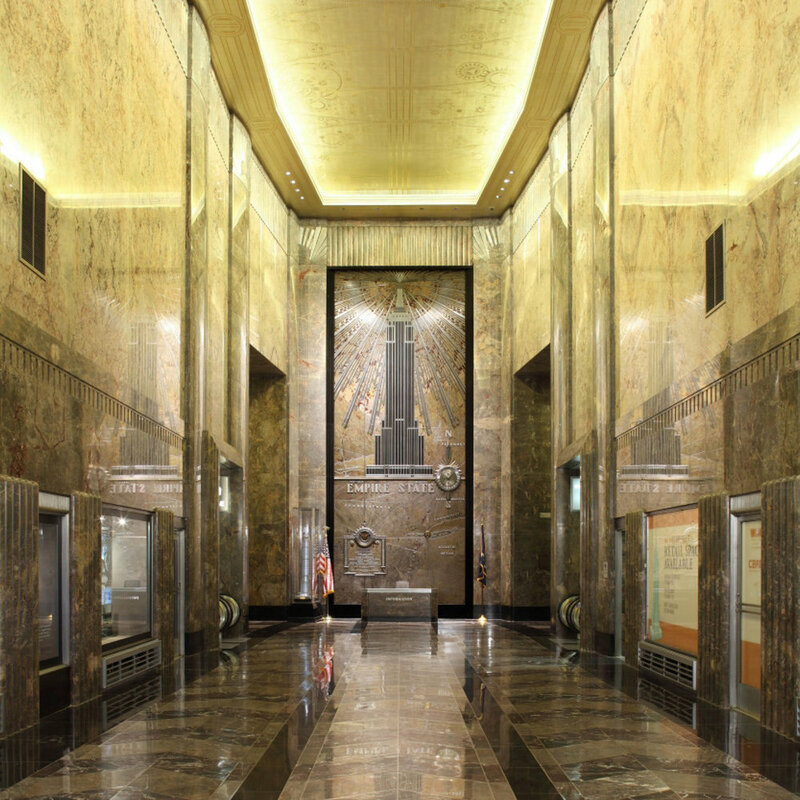 Conceived in 1929 as the world’s most sophisticated office building, the Empire State Building is famous for its elegant stone and stainless façade and spectacular Art Deco lobby. Thanks to the recent $500M restoration and upgrades, it has again taken its place as one of New York’s leading skyscrapers. 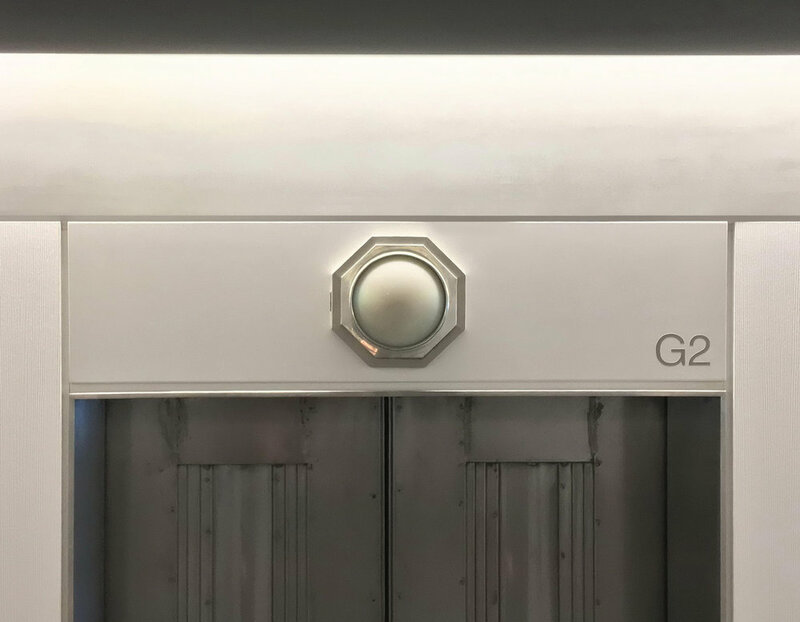 With the opening of JCDecaux’s new headquarters, the Empire State Building now for the first time has offices whose quality lives up to the original dreams for the building. The challenge was to build advanced and elegant offices in a building that had been designed almost 80 years ago and long before air conditioning had been invented. The floor-to-floor heights are much less than contemporary buildings, with as little as 9 feet of headroom under the beams. This height is reasonable for smaller offices but would feel very low for larger open spaces. The challenge is greatly compounded when ductwork and piping is factored in. Our solution had three parts. The first was to remove a large area of concrete and steel slab separating the two floors in order to create a generous double height lobby and reception area. 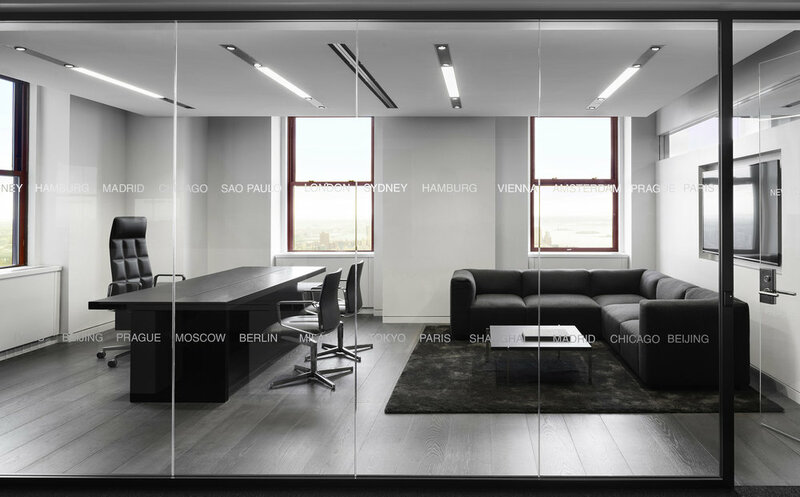 This tall, light-filled space creates a lasting first impression and announces that this is not just another office space. The second was to strategically locate seven small mechanical rooms throughout the floors so the ductwork would remain small and evenly distributed. The third was to concentrate all the ductwork and piping around the core and leave the ceilings open throughout the rest of the offices. The goal was to make a space that is elegant and understated, putting the client and staff in the foreground just as JCDecaux's architect-designed bus shelters and kiosks emphasize their client's work. To this end, the palette of materials was kept to shades of white, grey and black. The only accent color was the historic orange-red of the window frames which are a protected feature of the landmark building, used for the filing and storage cabinets that separate the groups of desks. The project is certified LEED Version 4, the new standard for efficiency and environmental design. All the materials and products had to undergo a rigorous evaluation process, and all systems, lighting and climate control are constantly monitored to ensure they are performing as designed.